That was quite funny, thanks for the laugh. Last week Bajas were showing up all over the place, must be the nice weather we spoted 5 in one trip around town. I saw JWH today in Tempe parked at some little shop/convenience store along Main/Apache. I was riding the light rail home from jury duty (yay! NOT). that little shop would actually be my grandpa's automotive/machine shop. i park my car there while i go to school. Would that be Hopper's Automotive? Saw a faded army green baja with a rack on top driving down Main St. Jefferson NC. Saw a rail driving down Sparta Rd. (18) Wilkesboro, NC. Spoke to the guy for a moment at a light. Lost him after that. Saw this bug out at Sycamore today. 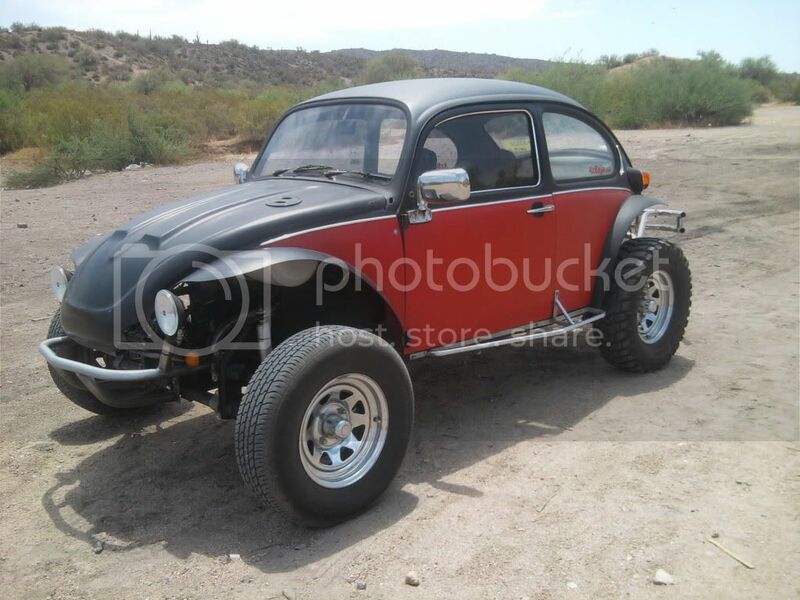 It was sitting because it runs hot... (same EXACT problem i have with my car out there ) AzBaja stickers on the sides and BugZyla conversion arms. Overall, it was a pretty nice little rig. 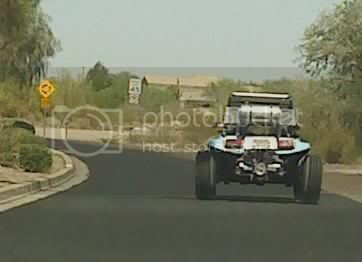 i saw a tan baja with a sunroof and the stinger exhaust down in sierra vista a couple days ago. couldnt get a picture as i saw him while i was turning a corner. saw a sweet Thing on the way home today. coilovers on all four corners, full cage and a subaru motor. Thing was awesome! 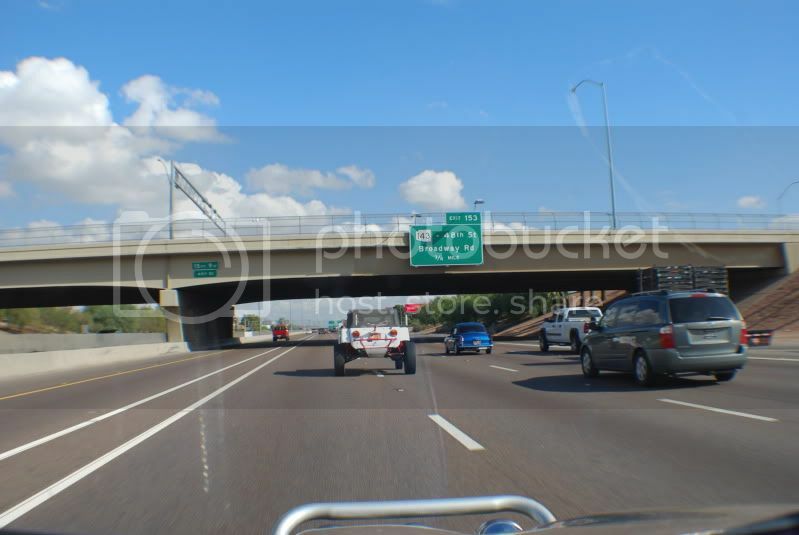 Looks like you guys had a VW Convoy deal going there on the freeway with that pretty blue notch, the Thing and your Baja.